In the wake of Abraham Lincoln's assassination, seven men and one woman are arrested and charged with conspiring to kill the President, Vice President, and Secretary of State. The lone woman charged owned the boarding house where John Wilkes Booth and others met and planned the simultaneous attacks. A fresh young lawyer reluctantly agrees to defend Surratt before a military tribunal. He realises that his client may be innocent and that she is being used as bait and a hostage in order to capture the only conspirator to have escaped a massive manhunt: her son. Violence Occasional, some bloodiness. One particularly disturbing scene focused on preparations for hanging. 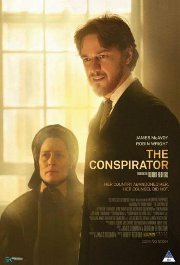 Comments This film is based on the trial of conspirators who assassinated Abraham Lincoln in 1865.